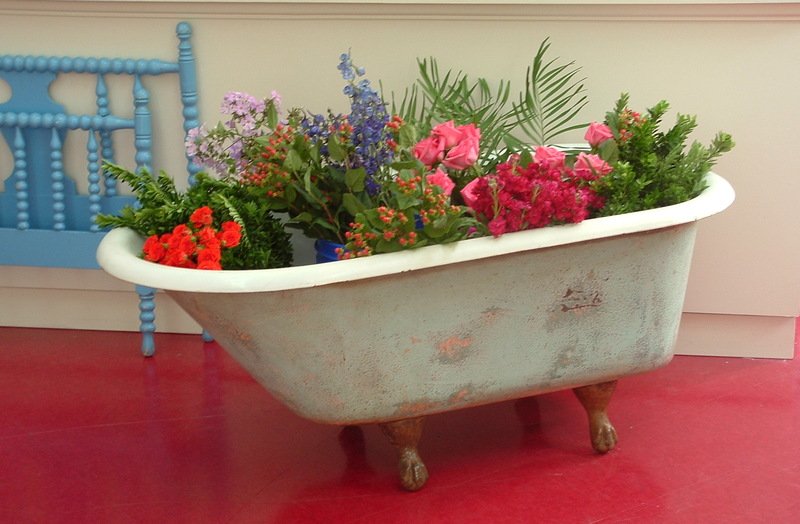 This has to be one of my favorite memories of Rachel’s shop La Bella Vita….and who wouldn’t want a tub of flowers? “Ants in the Pants” is hilarious. Well written. And I LOVE the tulips behind the title of your blog. Tulips are my favorite flowers and these are gorgeous. Makes me think spring might not be so far off. . .Gorgeous! I keep threatening to put an aquarium in our fireplace (it never gets use for a fire!) . . . I LOVE the blue bed! That red floor is pretty neat too. I love it, the sort of thing I want in my house someday!